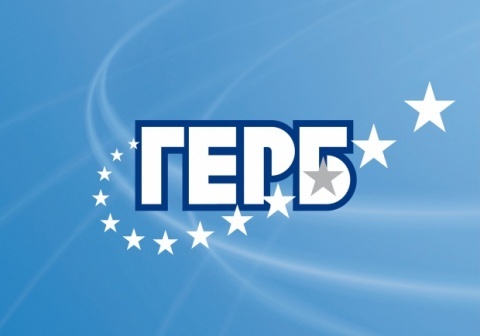 Bulgaria's formerly-ruling center-right GERB Party has sent its claim contesting and asking to void the May 12 early general elections results to all European institutions. The official letter, signed by 96 Members of the 42nd General Assembly, from the Citizens for European Development of Bulgaria party, GERB, has been sent to the Organization for Security and Cooperation in Europe, OSCE, the Parliamentary Assembly of the Council of Europe, PASE, the European Commission, EC, the European Parliament, EP, the European Peoples Party, EPP, the Party of European Socialists, PES, the Alliance of Liberals and Democrats for Europe, ALDE, and the European Greens Party. The letter informs the above that the claim has been logged with Bulgaria's Constitutional Court on grounds of "gross violations of the main principles of the rule of law and democracy on the day before the vote." It notes that according to Bulgarian legislation, a day of reflection is declared in the country 24 hours before the vote, when all campaigning and political propaganda are banned, but serious and unacceptable breaches of this law have been committed precisely during these same 24 hours. "Representatives of the Bulgarian Socialist Party, BSP, the ethnic Turkish Movement for Rights and Freedoms, DPS, and of the nationalist Ataka, among others, along with private media, in reality all campaigned on reflection day in violating the right of Bulgarians of free choice in the vote. In their statements we heard words such as "an attempt for overthrow," "forcefully seizing power," "a huge theft of votes," much more. In this situation, the Bulgarian voter was deprived of the opportunity to make a free choice and express free will," the letter reads. GERB and their leader, former Prime Minister, Boyko Borisov, claim the party's chances had been damaged by allegations that it was about to commit voting fraud. They refer to the overnight raid of the Bulgarian prosecuting authority and the State Agency for National Security, DANS, at a printing house on the eve of Election Day, during which a total of 350 000 illegal ballots were seized. The printing house is owned by a GERB municipal councilor, which prompted opposition parties to accuse GERB of an attempted voting fraud. The parties thus allegedly broke the mandatory pre-election silence on the day before the vote.